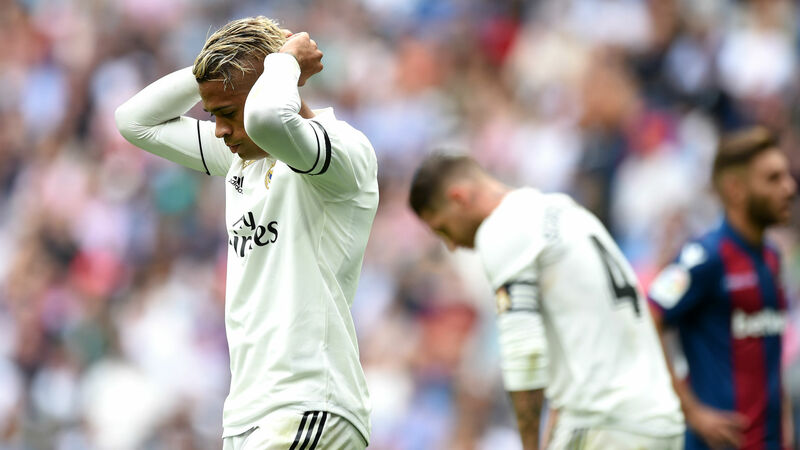 Real Madrid's failure to score during the first 56 minutes against Levante on Saturday ensured they set a new record for the longest goalless run in their history. Marco Asensio scored Los Blancos' last goal in the 41st minute of their 1-0 win over Espanyol on September 22. Since then they have failed to find the back of the net in defeats to Sevilla, CSKA Moscow and Deportivo Alaves and a goalless draw with city rivals Atletico Madrid. Asensio thought he had scored in the first half against Levante, but his strike was ruled out for offside, as Julen Lopetegui's beleaguered side went into the interval 2-0 down. After 11 minutes of the second half passed without Madrid scoring, their goalless streak in all competitions spanned 465 minutes, surpassing their previous record of 464.